Doing research for a blog like this is a journey easily detoured. Often one finds treasures just a bit removed...or even a lot...from the subject at hand. Such was my experience when I wandered through old photos of Taunton summers on the net. To be sure, all Tauntonians, including Villagers, enjoyed these cooling venues. Come along, then, who knows where we will end up. I do not have a whole lot of information on these photos, but we will let imagination roam.....and also hope some readers who chip in with stories and photos. Here is a 1908 photo of what must be Bay St. but is labeled Sabbatia Lake Road and Lake. The lake is just off Bay St. in the Whittenton. Only memories of what is was, remain in the soft echoes of the water sounds. showing Sabbatia Lake, the Pavillion and Merry Go Round. web of Trolley tracks crisscrossing the streets. 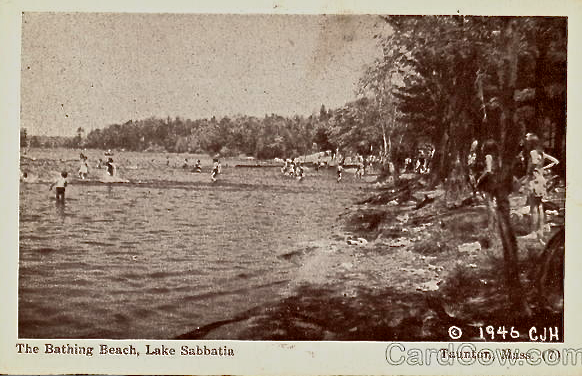 Sabbatia was still a destination where families could cool off. The Park reportedly included amusements, such as the Merry Go Round we mentioned. Also, dancing and such as well as places to purchase food. Knowing my folks, we probably brought our own however. As cars because more commonplace, fathers drove families further and we were to be found in the early 50's at Swift's Beach and such. The highway system that has become a voracious beast needing constant feeding and a technological age has taken our focus from simpler pleasures and gathering places of generations past. Yet today, many of us seek out remnants of those places, get excited when we actually get to stroll down a country road or is we can, go for a quiet bike ride. In the days of yesteryear those were the norms....we still seek out those norms today. 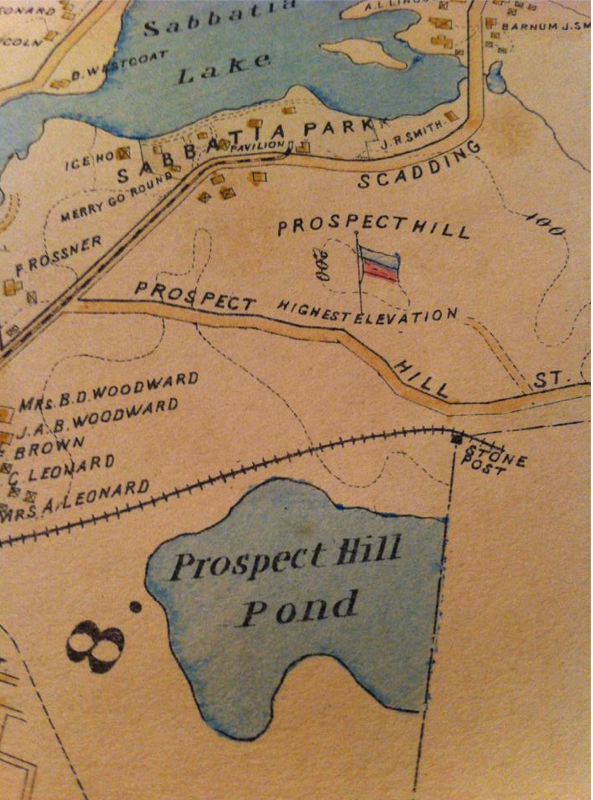 Many families moved to simple cottages all around the lakes (Sabbatia and the Nippenicket (the Nip) and Lake Rico)surrounding our city. Of course those are all year round homes now. 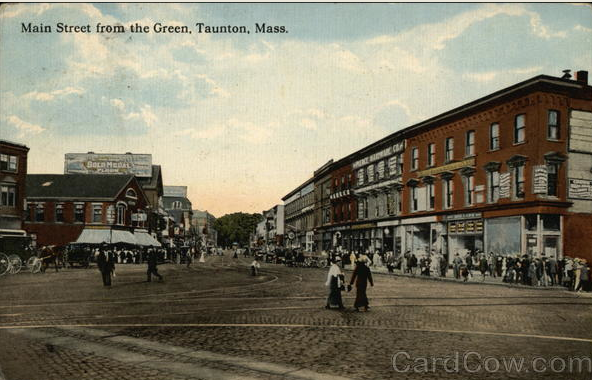 The Prospect street depicted could also be the one off Church Green area down town off Dean Street. The houses look the same. We could spend a family day at our lakes or those in Carver near by. All our cousins, Aunts and Uncles would show up. Great memories. 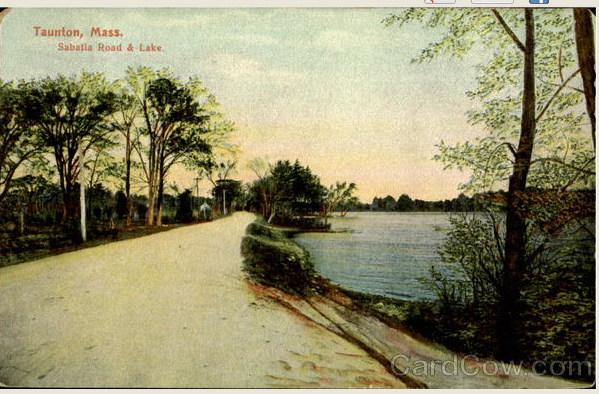 check out the post on Myles Standish....yes, many memories. You are right...I forgot that street....thanks. Mothers would pack lunches and we would go off in a caravan of cars to Myles Standish Reservation in Carver near the cranberry bogs to spend the day. My Aunt Mary Bernadino and family, my Aunt Eleanor and family, my Aunt Alveda etc and us. So many cousins. Of course the Dads all came as well. I remember my Uncle John Bernadino always smoking a cigar. 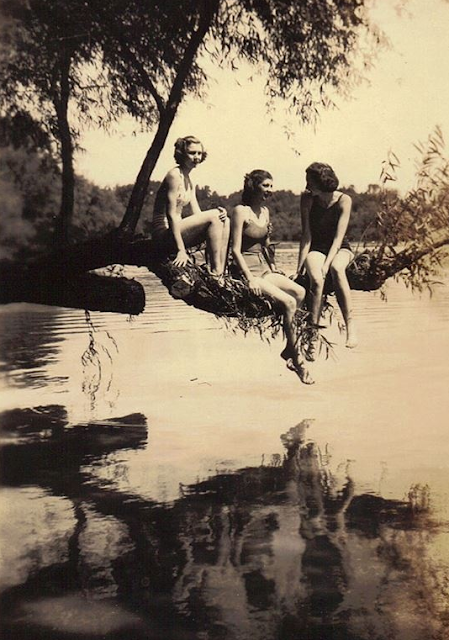 In those days less fear of strangers so made many friends at the lake.